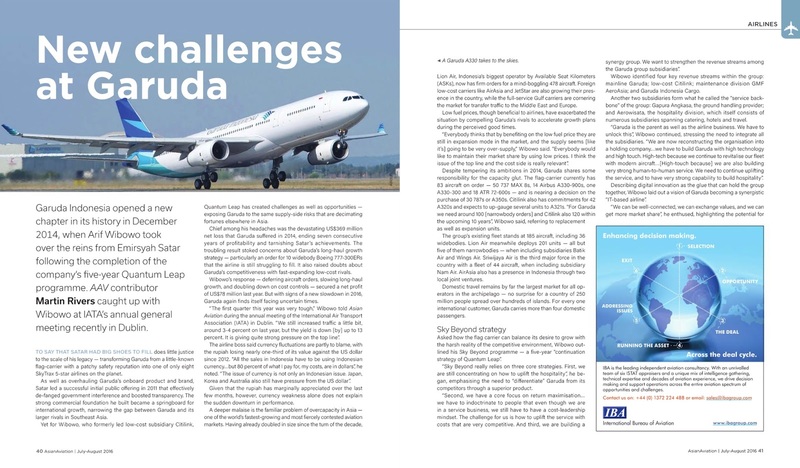 Garuda Indonesia opened a new chapter in its history in December 2014, when Arif Wibowo took over the reins from Emirsyah Satar following the completion of his five-year Quantum Leap programme. To say that Satar had big shoes to fill does little justice to the scale of his legacy – transforming Garuda from a little-know flag-carrier with a patchy safety reputation into one of only eight SkyTrax 5-star airlines on the planet. As well as overhauling Garuda’s on-board product and brand, Satar led a successful IPO in 2011 that de-fanged government interference and boosted transparency at the flag-carrier. The strong commercial foundation he built soon became a springboard for international growth, narrowing the gap between Garuda and its larger rivals in Southeast Asia.